+VL Elena 108/6 has a proven track record in our embryo transfer program. 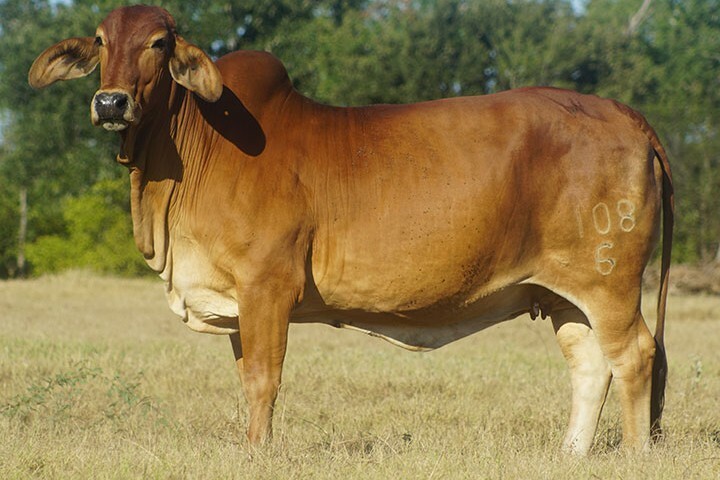 She is the perfect example of an American Red Brahman female as a gorgeous donor with tremendous breed character. +VL Elena 108/6 is super feminine, thick, deep bodied, and a cow filled with natural muscle. +VL Elena 108/6 has a pedigree that is truly 100% American Red Brahman. Her dam, VL Elena 108/3, was a dark pigmented, feminine cow with an outstanding production record. On her sire side, you will notice VL Rojo Elegante 80/2, a renowned sire famous to breeders around the world. 80/2 has produced numerous champions in the Dominican Republic, Colombia, and Venezuela. This donor’s progeny includes VL Rojo Designer 2/70, in addition to numerous calves that have been in our show barn. 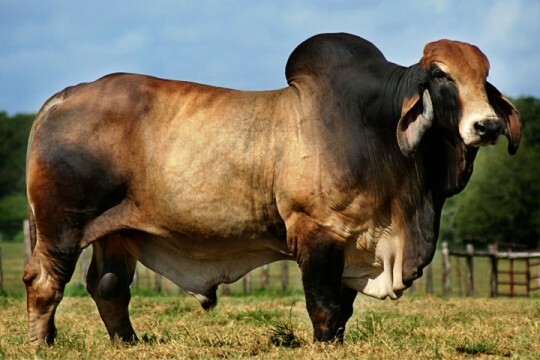 2/70 is a tremendous bull with power, muscle, and style. This moderate framed beef machine was named 2014 Reserve Intermediate Champion at the International Show in Houston, and the 2014 Reserve Grand Champion at the East Texas State Fair. 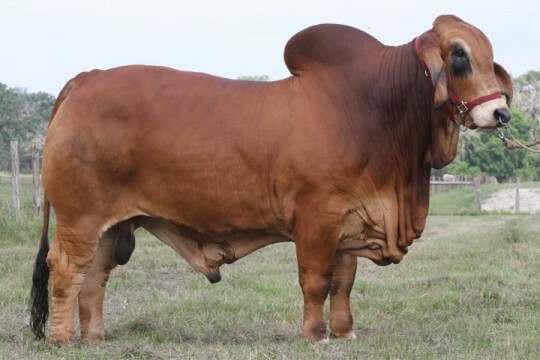 108/6 has proven that she can produce some of the best Brahman offspring, with many Brahman breeders saying that 2/70 is destined for greatness.